"Hagopian is proud of our commitment to the community." Since 1988 Hagopian has worked to foster education by working with community partners to sponsor programs designed to promote higher education using both mentoring and scholarship incentives. Over twenty years ago Edgar Hagopian conceived of an idea to hold a "Rug Design Competition" for students in a related curriculum. Collaborating with Detroit's Center for Creative Studies (now the College for Creative Studies), he sponsored a competition for interested students. Using local judges from the design community, first, second and third place designs were selected and the students were awarded with cash incentives. The first place design was then made into a rug and displayed during the annual Student Exhibition. The response to the competition was overwhelmingly positive for all involved. Putting her signature on the program started by her father, Suzanne Hagopian has expanded the competition to include scholarship moneys as well as an annual donation to the school. The awards are personally presented by Suzanne to the winning students on the opening night of the annual CCS Student Exhibition. See our Student Winner’s Gallery! Dedicated to community involvement, the Hagopian Family of Companies are a major benefactor to the Detroit Institute of Arts and have worked with the DIA Founders Society to raise moneys to support the local arts. 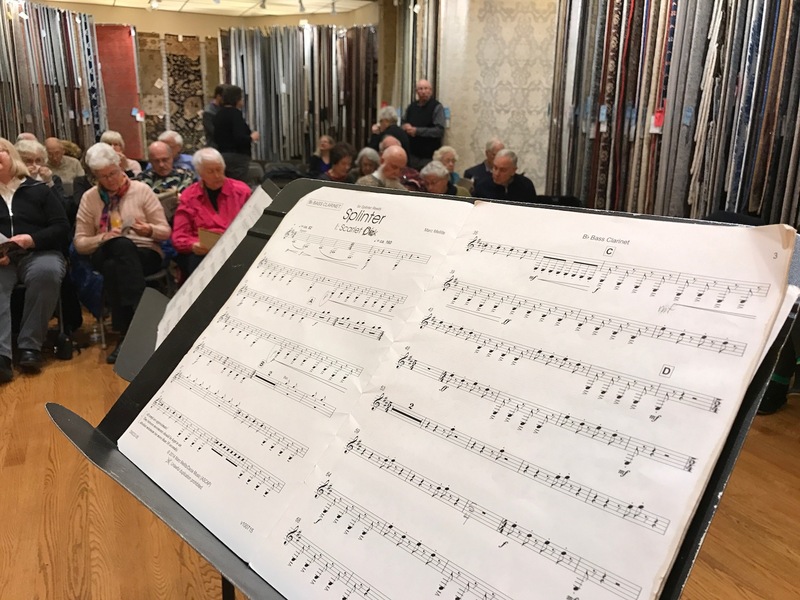 For the last 12 seasons, our Birmingham showroom has hosted the Detroit Chamber Winds and Strings' "Nightnotes" series, bringing fine musicians and performers to an affordable venue. Hagopian companies donate in excess of $70,000 in goods and services to local charities annually. Hagopian companies collect annually for Cerebral Palsy and match all employee contributions. In 2001 Hagopian was the third highest corporate contributor to the Detroit Chapter UCP. Hagopian Family of Companies are recognized as Major Benefactors of the Detroit Institute of Arts. After the 9/11 tragedy, Hagopian's Cleaning Services Division raised $9200 for the victims. 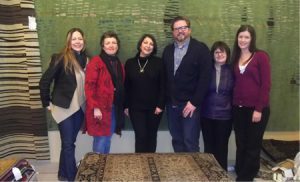 The Armenian Genocide Committee is pleased to announce the Annual Armenian Genocide Essay competition, funded by the Hagopian Family Foundation. Since 2008 this competition has recognized and awarded Michigan middle and high school students who have written a successful essay explaining the relationship of the Armenian Genocide of 1915 to 1923 to other genocides of the 20th century. Edgar Hagopian, Chair of the Armenian Genocide Committee and Patriarch of the Hagopian Family Foundation, stated that he “feels this project is a critical and vital key to perpetuating the history of the Armenian people in the minds of students as well as having them learn that a comprehensive study of the Armenian Genocide will aid and educate legislators and leaders to avert future tragedies.” “It is the youth of our nation that will look back to help not only this country move forward, but hopefully, one day the world,” Edgar concluded. For additional information, you may contact The Armenian Genocide Committee by calling 248-646-7847. Performances are Fridays at our Birmingham showroom. Doors open at 7 pm with refreshments followed by a 7:30 pm performance. Admission is regular $30, Senior $25, 35 & under $15 (All tickets are $5 more at the door). DCWS violinist Kimberly Kaloyanides Kennedy and her DSO colleague, Adrienne Rönmark, perform works including Prokofiev’s Sonata for Two Violins. They will be joined in works for violin and cello by Debra Fayroian, longtime Nightnotes Artistic Director. Prominent Detroit jazz musicians Marcus Elliot (saxophone) and Michael Malis (piano) premiere a new work featuring a DCWS string quartet, saxophone and piano. This performance is presented in collaboration with the High Wire Lab. More information at highwirelab.org.